Clear Lake California FLW Costa Series Tournament. Title shot – The lake is fishing tough this week, making this is an excellent catch front or back deck. Taking the scenic route, slightly slower but I'd rather see San Francisco Bay than Sacramento anytime. Almost there, Mount Konocti Volcano on the south shore of Clear Lake in the distance. A room with a view. Konocti Vista Casino Resort and Marina. How nice this is, remodeled rooms and the host marina is right there. Pre-Fishing with my travel partner Vince Hurtado, AKA ‘Vincanity’. The lake is not producing as we expect. 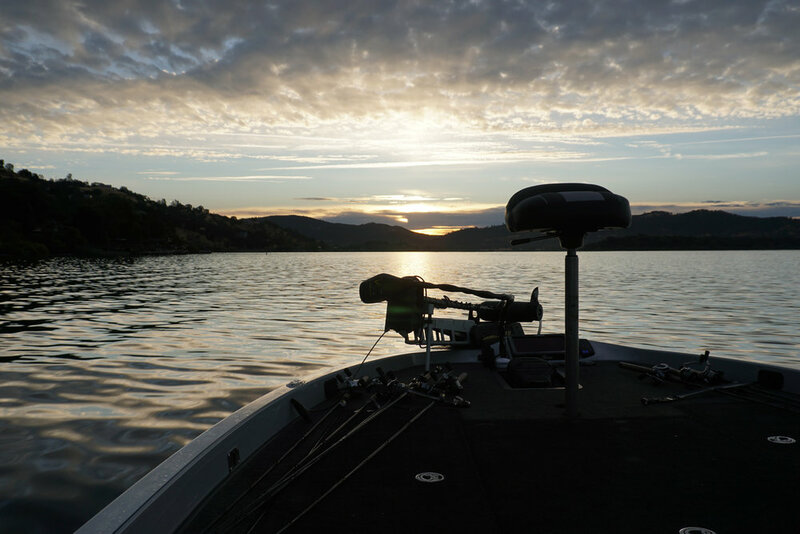 Some say there has been too much weed killer, the water is highly stained with only 6” visibility, and the water is 10 degrees too high for this time of year… It doesn’t matter, fish the conditions and don't place yourself in a negative perspective. I love the magic that takes place during staging and the takeoff. The day has begun, and the possibilities are going to unfold. You’ve caught them good before, and you can do it again today. The morning run to our first spot, on the way I know I'm alive, for me it is as exciting as it gets. When we get there I'm one excellent cast away from great things. A full marina as competitors make their way to the scales. Bottom left Pro Angler Vince Hurtado and Co-angler AOY Gary Haraguchi, two exceptional anglers. 1st Place - A big shift in habits produces a big winning margin. Typically a reaction bait, fast-paced fisherman slowed down for this weeks win. Bryant Smith wacky rigged a 5-inch green pumpkin/watermelon Yamamoto Senko paired with 3/0 Decoy Big Bite Finesse Worm20 hook and a 3/32 ounce nail weight in the tail. “I put that one rod in my hand and pitched to every dock piling that was in front of me.” Smith’s 3-day total weight was 53 pounds 15 ounces. 2nd Place - Clayton Eslick used a Lucky Craft LV 500 and a Lucky Craft LC RTO 2.5. He changed most of his trebles to Trapper Tackle Round Bend Trebles. “I like a red hook on the front of my square-bill crankbait, it gives me confidence.” “I had spots in both the Clear Lake’s north end, mid-lake, and the southern region.” Eslick anchored 2nd Place with 45 pounds 9 ounces. 3rd Place - During day one’s bright skies professional angler Jimmy Reese fished a 6” Roboworm Fat Straight Tail Margarita Mutilator rigged on a Frenzy Bait Nail Shakey Head. He targeted shade pockets with solid cover elements. Day two saw cloud cover and a switch to a ½ ounce War Eagle Spinnerbait and ¾ ounce football head jig and a prototype Yamamoto creature bait. On the day three cut, the spinnerbait, and shakey head produced best for Reese with a total weight of 44 pounds 7 ounces. 4th Place - Kyle Grover found himself fishing a single rod set-up the entire tournament. Flipping pennywort vegetation with a 1-ounce weight, a Gamakatsu Super Heavy Cover Flippin Hook and a Strike King Rage Bug or Reaction Innovations Sweet Beaver in black and blue patterns Grover weighed 43 pounds 11 ounces. 5th Place – Ken Mah made a big climb on day two with an 18-10 limit making the top 10 cut. Mah flipped and cranked a Bill Lewis Echo 1.75. Mah also changed his hooks to Trapper Tackle Round Bend Trebles. Mah explained that he had six different flipping rods rigged for multiple situations. Mah final weight for three days is 43 pounds, 9 ounces. 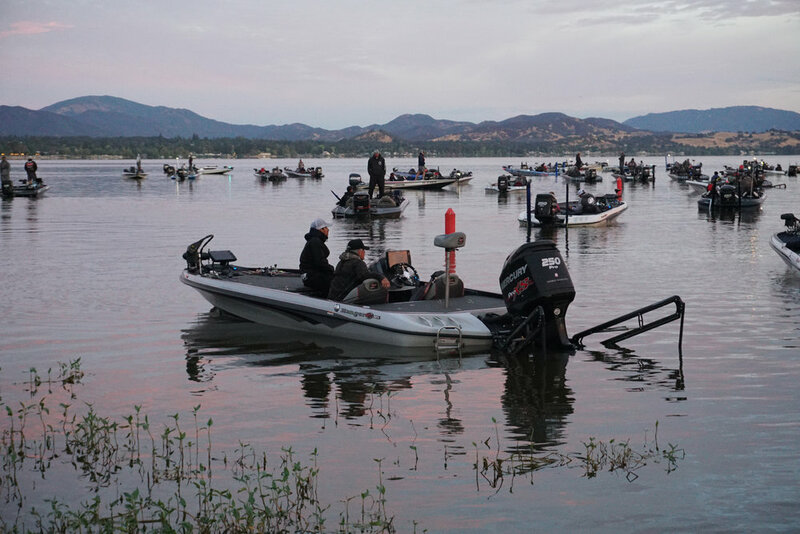 No matter what the conditions are successful anglers figure out winning patterns, maintaining a positive outlook is a big part of effective fishing. Well, that went by too fast. Time to get back on the road. See you next time.